I've gotten dansguardian installed via MacPorts, and it's running on reboot, but it does nothing. What else is needed to make it filter? Web sharing? Proxy server? 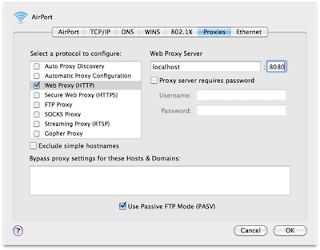 Proxy config? Any help is appreciated. Darren. Darren -- I updated the info above. Let me know if it makes more sense. Thanks! Do you know, whether this will work on Snow Leopard Server? I currently have it working on Leopard Server, but am about to upgrade. I successfully installed a working copy of DansGuardian on an Xserve running Snow Leopard Server.